Check Out "SH'MON Part 2" by THE DYNAMITE ORCHESTRA on "Rare Mod Volume 5"! 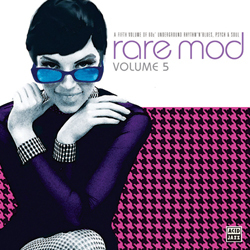 Out Now: "Rare Mod Volume 5" on Acid Jazz Records! This 20 track set of Mod gems contains "SH'MON Part 2" by THE DYNAMITE ORCHESTRA. 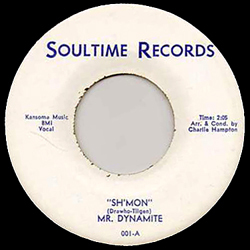 "SH'MON Part 2" was the instrumental B-Side of the UK Mod/Northern Soul cult classic "SH'MON" by MR. DYNAMITE, originally released on Sue Records in the UK and Soultime Records in the States. The "Rare Mod Volume 5" collection marks the FIRST official re-release of "SH'MON Part 2" since 1966! The first official re-release of "SH'MON" by MR. DYNAMITE was on Ace/Kent Records in 2008 on the compilation "New Breed R&B With Added Popcorn". "SH'MON" is also available through Ace/Kent as a collector's vinyl single! 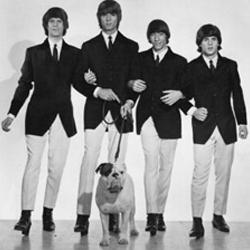 In 1966, before the inevitable demise of local Washington, D.C. faves The British Walkers, lead vocalist Bobbie Howard (pictured to the left walking the band's trademark mascot) recorded a "solo" single with the current crop of band members at the time (Jimmy Carter/guitar, Jack Brooks/bass and Steve Lacey/drums) backing him. That single eventually attained cult status in the UK, while pretty much sinking without a trace here in the States. Under the name of MR. DYNAMITE, Bobbie and the band recorded "SH'MON", a track that could very easily be mistaken for a Soul music workout by James Brown. 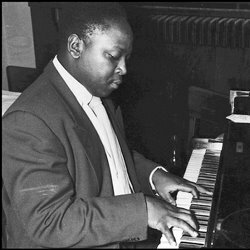 The late, great Jazz musician and Howard Theatre Band Leader Charlie Hampton (pictured here in a shot from the 1950's) did the song's arranging and conducting - the horns on the track (especially the saxophone) bear his unmistakable stamp. As stated in his obituary in the August 26, 2005 edition of The Washington Post, Charlie worked with hundreds of noteworthy singers and musicians when they played The Howard Theater, including Sarah Vaughan, Earl "Fatha" Hines, Marvin Gaye, B.B. King, Bobby Darin, Gladys Knight, Stevie Wonder, Billy Eckstine, Pearl Bailey, Otis Redding and The Temptations. "SH'MON" was the one and only release on manager Bobby Poe's Soultime label in the US and was licensed to Sue Records in the UK. Copies of the original single command a premium price by collectors, going for $400 to $600 and up on ebay. The band's manager Bobby Poe relates the humorous tale back then of how he took the single over to his good friend Barry Richards (the legendary Washington, D.C. area DJ), asking him NOT to mention that the single was by Bobbie Howard, so as to keep the illusion alive that MR. DYNAMITE was a funky new phenomenon. As Poe started to drive away from Barry's radio station, his delight in hearing Barry play the new song on his car radio turned extremely sour when Barry announced that everyone had just heard the new single by...BOBBIE HOWARD! The ONLY official re-release: We're pleased to announce that "SH'MON" by MR. DYNAMITE aka Bobbie Howard of The British Walkers is included in the great compilation "New Breed R&B With Added Popcorn". The compilation is on Ace/Kent Records, the amazing UK speciality label. The CD can be found at Amazon.com and here's a picture of the fabulous cover. The track is also available as a 7" vinyl single from Ace/Kent Records as well! For licensing information on "SH'MON" by MR. DYNAMITE and/or "SH'MON Part 2" by THE DYNAMITE ORCHESTRA, contact Bobby Poe, Jr. at Kansoma Music Corp. Finally! 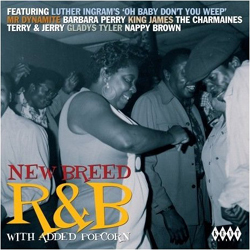 After years of being out of print, we are pleased to announce that "SH'MON" by MR. DYNAMITE aka Bobbie Howard of The British Walkers is included in the great compilation "New Breed R and B With Added Popcorn". The compilation is on Kent Records, the amazing UK specialty label. The CD can be found at most online retailers. Bobbie Howard - Lead Vocals; Jimmy Carter - Lead Guitar; Jack Brooks - Bass; and Steve Lacey - Drums. Conducting and Arranging on "SH'MON" was done by Charlie Hampton, who was the Leader of The Howard Theater Band in Washington, D.C. at the time. A renowned Jazz musician in his own right, Charlie Hampton left his magic touch on the horns (especially the saxophone) on the single. 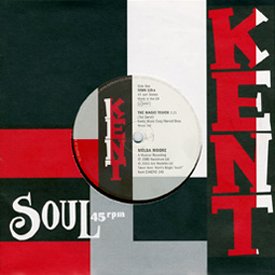 "SH'MON" by MR. DYNAMITE is also available on Ace/Kent Records as a 7" vinyl single! 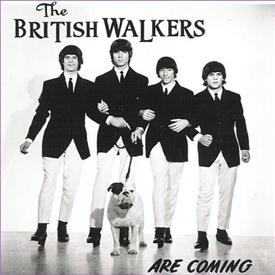 Purchase "The British Walkers Are Coming" on Billy Hancock's Turkey Mountain Records at CDbaby! Visit the official website of Kansoma Music Corp! 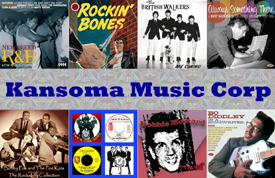 Kansoma Music Corp was founded in 1957 by Bobby Poe. Copyrights include music by Bobby Poe and The Poe Kats, Big Al Downing, Fats Domino, The Chartbusters, The British Walkers, MR. DYNAMITE and many more! Copyright Kansoma Music Corp 2019. Picture Window theme. Theme images by merrymoonmary. Powered by Blogger.